In an age when most airports look like most other airports and our 24-hour media means we can know what happened on the other side of the World as quickly as we find out what happened at the end of our street, are we beginning to loose our sense of place? If architects can work anywhere in the world and people can buy design from anywhere, if they have the money, then do our buildings or our homes, our furniture or clothes belong to a specific place? Copenhagen Metro can be seen as a single design project - be it a complicated, ambitious and well-integrated design project - that has pulled together different design skills in electrical and mechanical engineering for the systems that control the driverless trains; advanced civil engineering for the construction of the tunnel system; engineering or industrial design in the trains themselves; architecture and construction engineering in the elevated tracks, the stations, and the canopies over the tracks and of course landscape and urban design and planning in the setting of the stations and tracks above ground along with graphic design and typography to give the whole complex transport system a strong and clear visual identity. There have been a few mistakes and some things have been changed … for instance fixed glazed barriers along the edge of platforms with doors that line up with the carriage doors have been added for safety as the number of passengers has increased or the changes that have been made as the ticketing system has moved on from clip cards to the credit-card style Rejsekort or to passengers using travel passes on their smart phone which effects how groups of people move into and through the lobby and escalator areas and determines the number of ticket machines and scanners needed and their position. Often, of course, what initially determined design options might not be that obvious now. Compared with many metro systems, the stations in Copenhagen are further apart so, in what seems to be a counter-intuitive piece of logic, the trains can be smaller and run closer together. That’s simply because there is a greater distance between stations for the train to get up to an efficient speed and still keep within safety margins if the train in front should be held up by people taking longer to get on or off. Slower trains are more efficient if they are longer whereas faster and more regular trains can be shorter. Having made that decision, the size of the train with a standard unit of three carriages then determined the design of the station. In Copenhagen for the below-ground stations there are a sunken rectangular box built in concrete and the same length as a train and its width is the width of the single central platform between the two tracks. The main entrance and space for tickets and so on are below ground, reached by external uncovered steps down from the pavement and the roof at pavement level, over this space, has distinctive triangular glass pyramids to throw natural daylight down through the construction to the platform below … although electric lighting is also needed because of the depth below ground of the platform level and because intermediate landings and the escalators cut across the space and block some light. Just to focus on one interesting design problem and solution, the layout of the escalators at the main below-ground stations seems to be particularly good … well designed in terms of managing the movement of people in a safe and relatively rational way … relatively rational because it makes sense for regular users but can be confusing initially for visitors. Escalators are inset from the outer walls and have glass sides to allow as much light as possible to get down to the platform from above. A common arrangement in other metro systems is to have pairs of escalators side by side with one going up and one down and with the same arrangement repeated at either end of a long platform. In the Copenhagen system, within the tight space of the box, there are two escalators going down at one end and two moving up at the other. To go down you start at the outside edge of the space and go down to a landing where you move towards the centre and double back with two escalators together side by side going down to the centre of the platform … if it was laid out the other way, with the two upper escalators together, the lower flights would be on the outside against the track. Passengers familiar with the layout use the landing to swap to the right side for the platform they want to use below. The escalators also act as a barrier along the centre line of the platform separating out people taking trains in different directions. There is the same arrangement at the other end of the station with two sets of escalators rising up to the ticket hall. The only slight problem for the passenger is if they get off a train from doors towards the middle of a train when it may take a couple of seconds to work out which pair of escalators are going up and which pair are coming down. The Metro has been constructed in phases. Essentially the starting point was the 1992 Ørestad Act needed to organise the construction programme, acquire land and give the development a legislative and financial base. Work started in 1994 and the first section opened in October 2009 to run from Nørreport to Vestamager. Almost immediately after that, in May 2003 the extension of that line out from Nørreport to Frederiksberg opened. A crucial line was constructed out to the airport and that opened in 2007 giving the metro plan it’s distinctive inverted Y arrangement with the junction at Christianshavn and two lines running down through Amager with one to the west serving the new town of Ørestad and the other to the east following the coast of Amager to the airport. Both the southern lines emerge from tunnels south of Christianshavn and continue as raised section above street level. In the opposite direction, beyond Fasanvej Station, the rail is again elevated. The Metro has major interchanges with the suburban rail service at Nørreport and Flintholm. The next and certainly the most complicated addition in terms of construction will be the Cityringen - City Circle - where work began in 2009 and is due to be completed by 2018. That leaves a relatively short spur out to the North Harbour that is to be opened in 2019 and a line out the South Harbour to be completed by 2023 with the possibility of further lines. This Cityringen will establish further major transport interchanges for the Metro at the central station, at Kongens Nytorv and at Østerport with links to suburban and regional trains. As the Metro expands signs and colour coding will presumably become more important so people unfamiliar with the system or distracted by the press of people around them don’t find themselves heading in the wrong direction on the wrong line. This is a more general design problem that effects not just the lost individual but the system starts to clog up if people freeze and start looking at maps or guides or start asking people for help while blocking a crucial area at the top or bottom of staircases or blocking exit doors … in those instances bad design can actually foul up the smooth running of the operation and be dangerous. In those cases designers and planners try and avoid problems but it’s quite a challenge to design something to deal with the amazing ability for some humans to be lost, short-sighted, stupid and selfish all at the same time. As with the extensive remodelling of the transport interchange at Nørreport station, good design often works best when people do not realise just how much they are being directed and manipulated by a successful design. Engineering by Rambøll A/S, Grontmij I Carl Bro A/S and Cowi. Friday 9 October was Kultur Natten - Culture Night - in Copenhagen so from 6pm through to around midnight museums, galleries, churches, government departments and commercial companies around the city opened their doors and organised events to show off their collections or their work. There were around 250 venues so the real problem was planning which were the must-sees and then how to take the best route around the city. All you needed for entrance anywhere was a badge that cost 90 Kroner and that included public transport free for the evening. Many of the events focused on food and children and no I’m not complaining. The city had a sort of bustle and carnival feel all night. There were short concerts or performances at a huge number of the venues. I started at Børsen, the Royal Exchange that dates from the early 17th century, now owned and occupied by the Chamber of Commerce. The very large crowd there suggested that a lot of people were as curious as I was to see inside the building. There was an efficient one-way route through the building and as I left from the side door of the Exchange I was distracted by the smell of roasting deer at the Ministry of Agriculture opposite and by demonstrations of wood carving and people sawing up saplings to make their own candlesticks. By chance, I found it was also a good place to learn about spelt flour and other ancient types of wheat and I finally worked out why spelt bread here is so different to the spelt bread I bought in England … most of the Danish bakers use spelt for a sour dough making it more open and more moist. From there it was a loop around the south side of Christianshavn and Holmen starting off at the public bath on Sofiegade and up to the Danish Architecture Centre for a trial firing of the apparatus that will blow smoke rings from the exhaust chimney of the new waste plant designed by Bjarke Ingels and now rising upwards rapidly - the building not the smoke ring - at the east end of the harbour. There was a barbecue here and a large enthusiastic crowd who cheered and clapped as the boiler built up pressure and released a burp of smoke though in the time I was there I have to confess that there was nothing that came even close to a complete ring. It was then on to KADK. Then the Scenekunstskole for some more good food and amazing light shows and some slightly iffy busking before heading to the Opera House and a ferry back over the harbour. There was still a huge queue to get into the Medicine Museum - presumably for the Panumkoret rather than the dissection of a pig’s heart and lungs that I had deliberately avoided earlier in the evening - but I decided I had not paced myself well and headed for home without finding out who or what a Panum choir is. This is Copenhagen ... of course there were bikes at northmodern. Above bikes by biomega - note the carbon fiber belt drive rather than a chain - and below bikes from Martone Cycling Co whose selling point is, apparently, the red chain. Oh ... and below that the boats ... Go Boats from Copenhagen ... the ones you see around the harbour ... the boats that, basically, provide an ever-changing view for your picnic table. With the arrival of warm days and blue skies, the citizens of Copenhagen head out for the sand of the beach and to swim in the sea. Some hardy citizens can be seen swimming outside all year round, but the buildings of the swimming baths come into their own in the summer. These structures provide changing facilities but they also mark a safe area for swimming, keeping boats out, and their platforms are used for jumping or diving into the water and the screens give something to lean against to get out of the breeze for sun bathing. 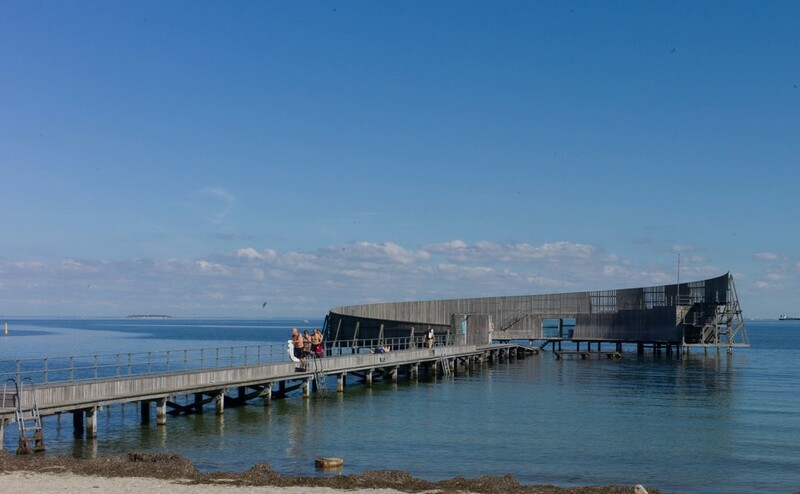 Charlottenlund Søbad (top), north of Copenhagen and just above the 17th-century fortress, is a more traditional construction for swimmers that is built out into the sea as a jetty with wooden-boarded huts for the facilities for changing. At the south end of Amager Strand, south and east of the city, is Kastrup Søbad, designed by White Arkitekter and completed in 2005. This is also built out into the sea on a timber jetty but here forming a dramatic sweeping curve. Again the screen shelters bathers and facing landward it means sun bathers get the best of the afternoon and evening sun. 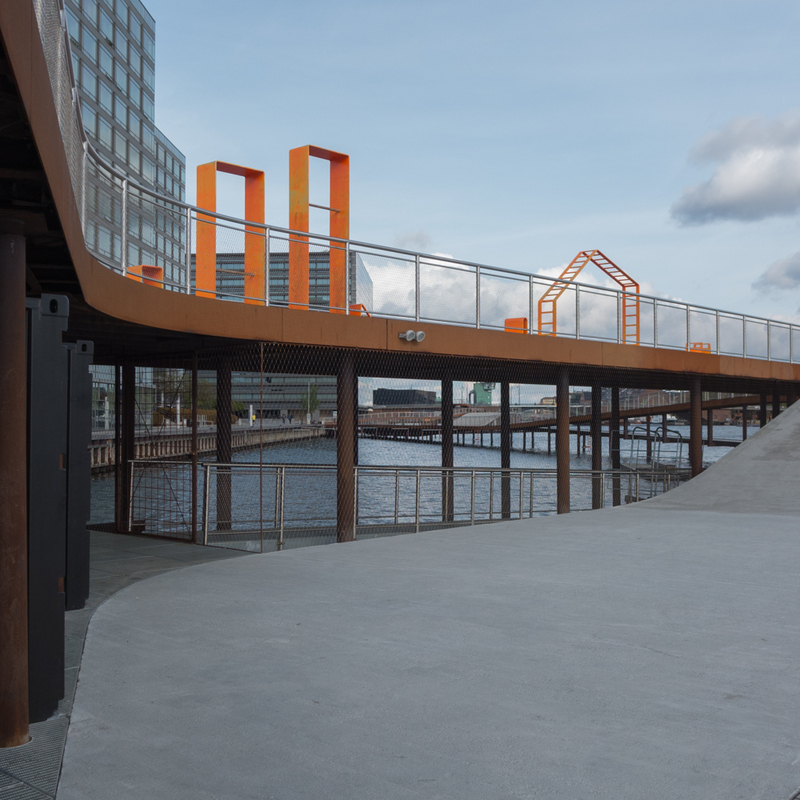 In the city, just below Langebro, are the two harbour baths for seawater swimming - the Islands Brygge harbour baths (above) by PLOT/BIG from 2003 and immediately opposite, on the other side of the harbour, is Kalvebod Wave by JDS Architects (below) completed in 2013. When I looked out from the apartment this morning this was the view. Over the trees of Kastellet what looked distinctly like a cruise ship at the Langelinie Quay. The first that I’ve seen this year. Wasn’t it Aristotle who said that one cruise ship does not a Summer make? … so I wandered over that way later in the day to find in fact two liners, all the cherry blossom out and swarms of tourists taking groupies at the Little Mermaid. Summer really must be here. If you don’t know Copenhagen and are not sure where the statue of the Little Mermaid is then you can see all the crowds on the left of the view. The Little Mermaid is hidden by the column … someone told me that you can’t publish images of the statue without permission so I’m not taking any chances. When I got to the quay I came across this slightly odd scene. One of the crew out with some white paint and a paint roller. Surely someone should have given him either a larger roller or a smaller ship to paint. I was a bit curious to know how he was going to do the other side but got bored waiting for him to get that far. Walking along Istedgade from the central railway station in Copenhagen there is a short street on the right-hand side with a small doorway in an imposing and, to be honest, slightly ominous facade. The doorway is not strictly a doorway but a gateway through to a magical World for children. The other thing that is maybe slightly ominous is the name - Skyebanehavn. It means the garden of the shooting gallery. Apparently it was owned by Copenhagen Shooting Society. When kids are bad in Copenhagen do parents threaten them with a trip to the shooting gallery? Looking at the children playing there, even on a grey Autumn day, they didn't look too worried. A sculpture on the Langelinie promenade commemorates such an amazing story that it deserves a separate post. The monument to Ludvig Mylius-Erichsen, First Lieutenant Niels Peter Høeg Hagen and Jørgen Brønlund is just off the main path, on the north side of the marina and down on the edge of the water. The three men were part of an expedition that set out in 1906, led by Mylius-Erchisen, to explore and map the west coast of Greenland. In the Spring of 1907, they left the rest of the group on a trip by dog sled to start the survey but did not return. In March the following year, the body of Brønlund was found with his journal recording the deaths of his two companions but the bodies of the other two men have never been recovered. In 1911 a competition was held for an appropriate monument and a design by Kaare Klint and Kai Nielsen was selected by the judges. A massive granite boulder chosen for the monument had been discovered submerged in the Flinterenden Channel off the island of Saltholm and Kai Nielsen actually donned a diving suit and inspected it on the sea bed before the 40-ton rock was raised by a large crane and transported to its final location where the figures and the commemorative text on the landward side were then carved in situ. Memorial to Mylius Erichsen/ Brønlund and Høeg Hagen who lost their lives on the Denmark expedition in the year 1907- From Jørgen Brønlund's diary. Passed 79 fjord after attempt- journey home across inland ice in November. I arrive here in waning moonlight and can go no futher for frostbite in my feet and for the darkness. Others' bodies are in the middle of the fjord in front of glacier (about 2 ½ miles)- Hagen died 15 November and Mylius about 10 days later. In this photograph of men from the expedition, Mylius-Erichsen is standing in the centre and Brønlund on the left. When they died Ludvig Mylius-Erichsen was thirty-five years old and Niels Høeg Hagen and Jørgen Brønlund just thirty. Exploring more of the old town after spending a morning taking photographs in the West Harbour in Malmö, I came across this amazing painting on the gable of a building in a play area opening off Hospitalsgatan. Clearly the artist has a fascination with prehistoric animals. The colours seemed right for the season as well. Back at the beginning of the year, in the early hours of the morning, I caught a programme on the World Service of BBC radio called Business Matters where there was an article about new buildings in Oslo under the title Oslo’s rapid growth redefines Nordic identity. Despite the odd hour I listened closely because the summer before I had been to Oslo to look at the development of the area on the west side of the main harbour - it had been extensive commercial docks but is now undergoing a massive transformation. I had read about the development in several architectural journals before the trip and was curious to see for myself what was being built. The redevelopment of that part of Oslo, Aker Brygge and Tjuvholmen, raises interesting points about inner city redevelopment, and about design in general, and planning and architecture specifically and raises questions about how any city balances and controls, if it can, change that is driven by fast economic growth. With redevelopment, there is usually the promise of jobs, pressure from developers and investors, pressure on politicians and planners for the development to succeed and, of course, there are possible and interesting conflicts of taste and and conflicts of requirements between the young and the old or the incomer and the long-established citizen. 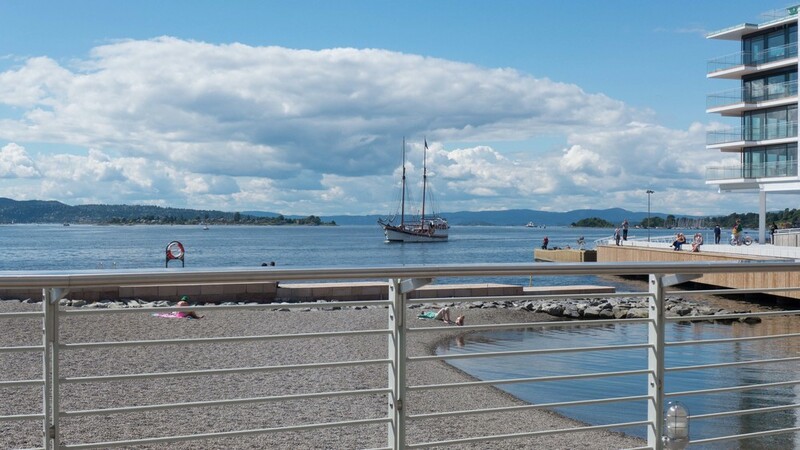 At the centre of Oslo is the castle on a high outcrop with amazing views down the fjord to the south and with the core of the historic town sheltered behind it to its north where there is a fairly regular grid of streets with some fine buildings dating from the early 19th century. There are large bays forming harbours to both sides of the castle, that to the east with the new Opera House and considerable areas of new building in that part of the city and to the west, at the top of the west harbour, is the famous Oslo City Hall built in the 1930s. On the west side of that bay, looking across to the castle, there had been extensive docks and commercial buildings and it is that area that has been cleared and redeveloped with new apartment buildings, a hotel, a major new art gallery - the Astrup Fearnley Museum designed by Renzo Piano - and of course restaurants and cafe’s with some shops. The apartment buildings are relatively high, compared with comparable buildings in Copenhagen, and have been built on either side of a wide main pedestrian street running north south that has a distinct urban character. Private cars and service vehicles enter the area through a traffic, services and parking area hidden below the apartments although cars and taxis do have to emerge to drive over a bridge over a wide canal that runs east west across the centre of the development in order to reach the south part. For the general public buses and taxis seem to stop at a turning circle at the top of the development. 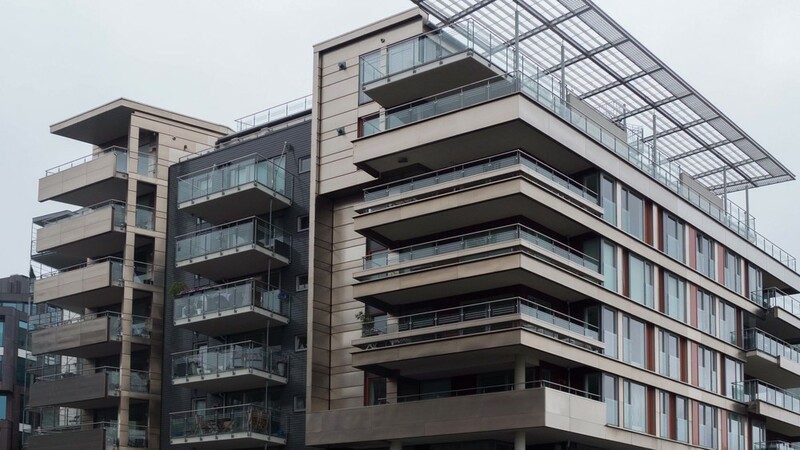 Architects for individual apartment blocks seem to have had a free hand in terms of the choice for facade materials and for the arrangement of the inevitable balconies and curiously, in some ways because of that, it feels more like a commercial district than a residential area. 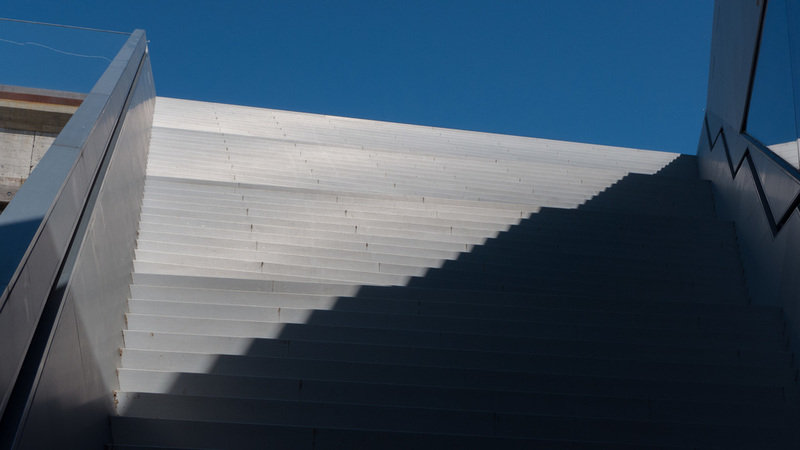 The blocks at the southern end do seem to have a more restrained palette with white facades that did look amazing in the bright clear light of mid summer. My assumption was that these apartments would be occupied by young professional people, many of them single, who would have moved to Oslo with the attraction of its thriving economy but several people told me that in fact older couples have been attracted to the area as a place to retire, having sold large family houses in the outer parts of the city, and attracted here by the views across the harbour and the central (or relatively central) location. Berths for private boats close to the apartments and a large marina are a major part of the scheme and attract lots of visitors - both boat owners and tourists wanting to watch - and there seemed to be quite a lively night life here, at least in the Summer, with open-air bars and restaurants down the east side of the development with views across to the castle. On that trip to Oslo in the summer of 2013 I stayed at The Thief - partly because it is promoted as a design hotel, so it seemed like a good subject for a post on this blog, and partly because the hotel is very much part of the new development and I wanted to stay there, rather than in the historic centre of the city, so that I could see what the area was like in the early morning and in the evening and so on. In the end I didn’t really enjoy the stay and decided not to write about it on this blog. Don’t get me wrong I had a fantastic time in Oslo and The Thief is an extremely comfortable hotel but I am not in the demographic that it targets for visitors - to be honest I’m just a bit staid and my inner puritan is a bit close to the surface. 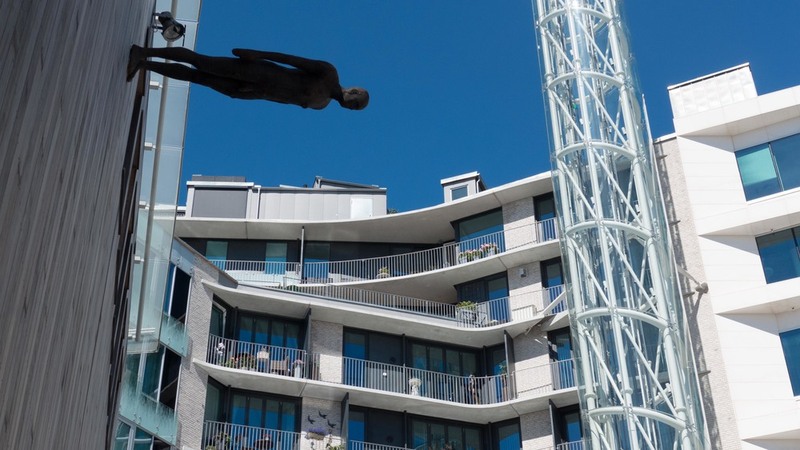 However, the hotel did have a crucial role in the early stages of the development to draw people to this new part of the city: along with a new major art gallery, the Astrup Fearnley Museum designed by Renzo Piano, it was one of the key new buildings that are crucial to the ongoing attraction and success of a new development. The importance of this area of Oslo will be consolidated by the redevelopment of the former West Station at the city end of the area as it was confirmed earlier this year that it is to be the site of new buildings for the National Museum. The Thief also illustrates well that new hotels, at the top end of the market, are important in the professional world of interior design and architecture: hotels provide major and high-profile commissions for architects and professional designers; the hotels need very large quantities of new furniture and fittings when they are set up, so are important for manufacturers, and they can establish new trends and make the reputations of new designers as hotel guests are inspired to emulate ideas in their own homes. Particularly the design of bathroom and shower fittings in a new hotel can drive forward the style and arrangement of domestic bathroom fittings but guests also take home with them ideas for bedding, trendy colour schemes and so on and it can be a chance, particularly in design hotels, for potential buyers to try out well-known classic or new and innovative designs of furniture that they may go on to buy for themselves. Found another amazing coffee shop today - just over on the west side of the lakes, beyond Peblinge Sø and just about opposite Bethlehem church. I was over in that part of the town to see if the church was open. Honest. There is a large open kitchen beyond the shop and a macaron making academy is held here at regular intervals. The shop is simply but stylishly fitted out. 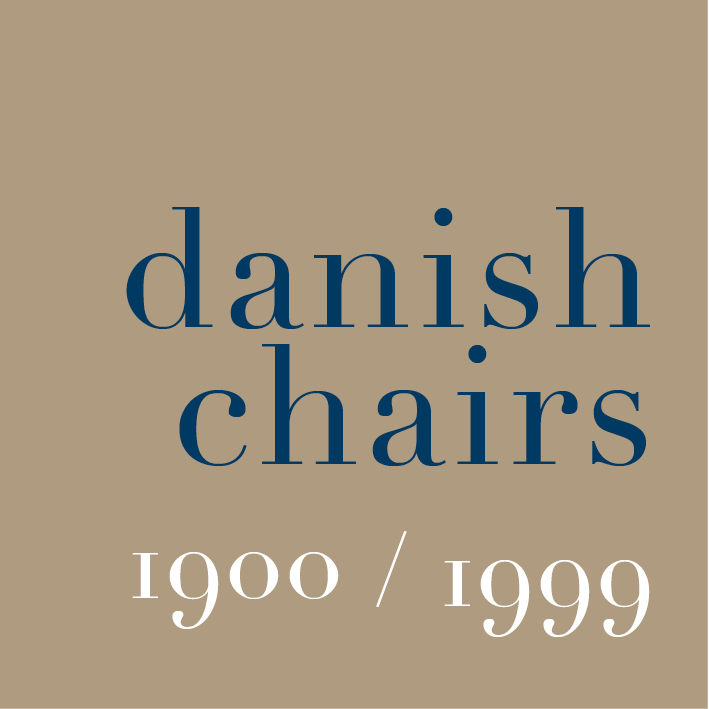 Yet again a Copenhagen coffee shop reinforces that link between good food and good design … after all in English the phrase good taste is used to praise both food and design. Nikolaos Strangas himself talks on his web site about the importance of respecting the beauty of simplicity and the purity of the raw materials when he is cooking. That could be a good designer talking. Design shops and furniture stores in Malmö have joined together to promote the city as a destination for finding and buying good design. There are maps displayed in major shops participating in the scheme and advertisements in newspapers. Perhaps the Design Museum Form should be promoted as the starting point, so that it is number one on the map, to reinforce a link with high-quality and innovative design and, following the example of the very successful design quarter in Helsinki, the scheme should be expanded to include local architects, graphic designers, crafts people and possibly book shops with sections on design and architecture. There already appears to be an attempt to link the promotion with the idea of sustainability. As heavy industries such as ship building have closed the city is reinventing itself to focus on universities, design and tech businesses. Despite wider economic pessimism, Malmö has major building works in hand with a large area of new apartments as part of the redevelopment of the west harbour and north dock and extensive new office buildings under construction west of the main railway station. The city really does seem to be benefitting from the opening of the bridge, linking the region to Copenhagen, particularly the train link to the airport at Kastrup, and from the major remodelling of the railway system through the city.